Lisa is one of the founders of CogswellStone. For the last 18 years Lisa has the responsibility of CFO as well as managing all the companies Human Resources. Lisa’s expertise in dealing with insurance companies and financial institutions has enabled CogswellStone to establish a strong position for itself. 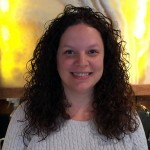 Lisa is instrumental in the design and maintenance of the company’s website. Lisa makes all advertising and donation decisions for the company. As with all company owners who wear many hats Lisa will also meet with clients, photograph jobs and select materials. Lisa is also a member of Women in Stone Powered by the Marble Institute of America. In the past she was one of a group who developed the MIA’s Management Tool Kit. Along with her day to day duties at CogswellStone, Lisa spends additional time volunteering on the Women’s Committee of Martha Jefferson Hospital and serves on the Paramount Theatre’s Education Committee. 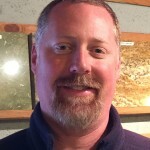 John, being one of the founders of CogswellStone over 18 years ago, brings with him over 30 years experience in the stone, tile, construction and remodeling industries. This experience enables him to envision your project from start to finish without missing a beat. Within CogswellStone John has held every position within the company. John is an active member of the stone industry. John and CogswellStone have been members of the Marble Institute of America for 15 years. John has served on the MIA’s Accreditation Committee, Education Committee and Resource Committee. He also served on the committee that revised the MIA’s Countertop Module and Glossary Terms. As well as presenting education sessions at StoneExpo he has served on the StoneExpo Advisory Council. John’s extensive network of colleagues in the stone industry enables him to find unique quality materials and have insight to the latest techniques in the industry. Billy has been with John and Lisa for over 20 years. He was there 18 years ago when CogswellStone was founded. He has held every position within the company. Billy is currently the Shop Supervisor. Billy is responsible for all of the company’s fabrication, CNC Operations, and training. His expertise is frequently called on for restoration and repair in the field. Billy also assumes the responsibility of servicing and maintaining the company’s equipment. From the installation of a 1” tile to the installation of a 10’ x 5’ island he has done it all. Darrell has been with CogswellStone for over 10 years and has held multiple positions from installer to his current position. Darrell is tasked with measuring your job, generating templates, tracking inventory and estimating. Darrell’s attention to detail and expertise using digital templating technology is what enables us to produce quality stonework with accuracy. Darrell also estimates some of our larger projects and exclusively all our commercial work. Prior to his work here at CogswellStone Darrell spent many years designing and estimating different type fireplaces. Kate has been with CogswellStone for 3 years. Kate’s responsibilities include but in no way are limited to: managing the showroom, meeting and educating clients, estimating jobs, scheduling, providing customer service. Prior to coming to CogswellStone Kate spent several years with a stone fabricator in another city. Kate has the responsibility of finding out what our client’s expectations are and making sure that they are met. Kate’s extensive knowledge of stone products enables her to educate our client and meet their needs. Kate is the contact person for just about every job that we do. Her organizational and communications skills enable her to manage multiple jobs per week. Her transfer of information in a timely and precise manner enables CogswellStone to be successful. Kate has become the face and the point person of CogswellStone.